Trade experts are calling upon the government to introduce incentives to encourage informal traders to formalize their business. 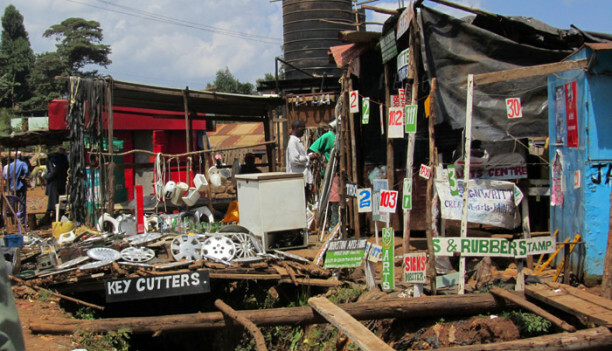 Ecobank’s Head of Soft Commodities Research, Edward George has said the current strategy of curtailing informal traders is not sustainable as the sector is a major source of income for millions of Kenyans. “The informal sector provides a livelihood for millions of people across the region. In order to encourage these traders to formalize their businesses, they need to be provided with genuine incentives. This way, trade can be regulated, quality-controlled and taxed,” said George. George said informal trade paints a very small picture of overall trade flows on the continent, with informal trade being comparatively innovative. George was speaking during the Ecobank commodity trade finance conference in Nairobi. George is one of the key speakers during the Kenya chapter two-day East Africa Trade & Commodity Finance Conference 2015 which brings together the largest gathering of trade finance specialists in the region. Key business leaders are expected to attend to explore key issues, challenges and the latest developments facing East Africa and beyond. Ecobank Kenya managing director, Ehuoman Kassi said East Africa’s economy is rapidly growing due to the expansion of the intraregional trade. “We are at the pinnacle of great trade convergence on the continent. Kenya and the East Africa region at large is the gateway to the interior of Africa. 50 per cent of all EAC exports end up in other African markets, with intra-EAC trade making up for 20percent of all exports,” said Kassi. He said formal regional trade within Africa remains the lowest in the world. Research indicates that Kenya and Tanzania dominate the EAC’s trade with the world, but when it comes to intra-regional trade, Uganda and Rwanda punch above their weight, both operating as regional trade hubs. Ecobank offers intra-Africa trade solutions that enable customers to settle their international trade transactions efficiently and to mitigate payment risks. Ecobank is the only bank that trades in the 22 currencies across Middle Africa. Ecobank’s trade finance proposition provides comprehensive trade solutions for customers using various payment methods across Africa which includes a regional banking card. Ecobank’s dual mission is to support the financial integration of African countries including the movement of funds and capital to support trade activities. The list of "grilling journalists" reads more like a softball list of fan hagiographers, to judge by the questions. Nice that both Dave Sim and you all find his self-referential reality so endlessly fascinating!So – where's Gerhard? His take is about 180 degrees diametrically opposed and his assessment is far from sanguine.To riff off a Kecnidy-nonnecteon quote, "Ah Davey, we hardly knew ye."